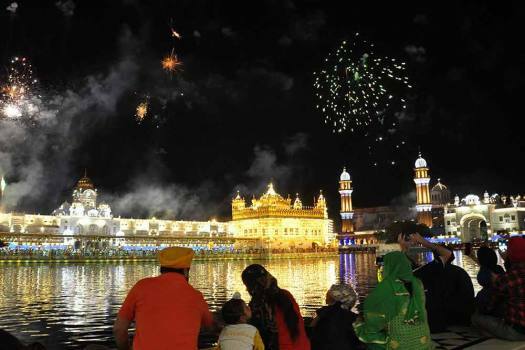 Fireworks at Golden Temple on the occasion of Baisakhi festival , in Amritsar. 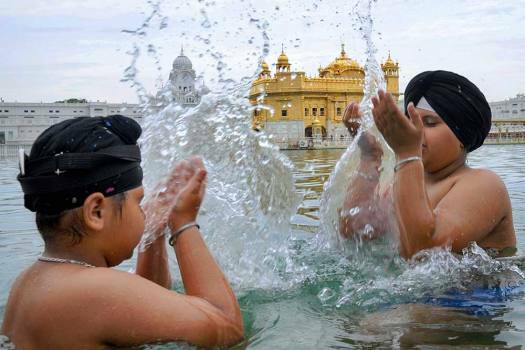 Devotees take a dip in a Sarovar (sacred water tank) on the occasion of Baisakhi festival, at the Golden Temple in Amritsar. 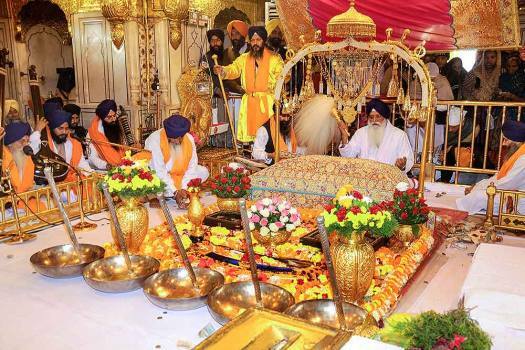 Reliance Foundation Founder & Chairperson Nita Ambani receives 'Parshad' at Sri Harmandir Sahib (Golden Temple), in Amritsar. 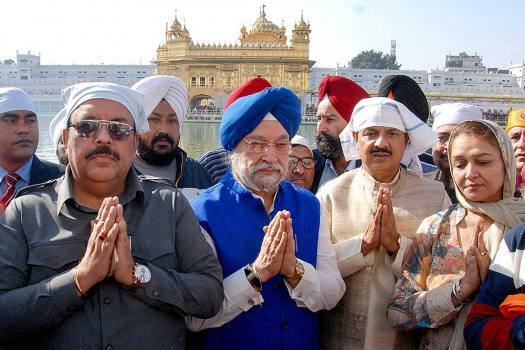 Russian military delegation led by Commander-in-Chief of the Ground Forces, Army General Oleg Salyukov offer prayers, at Golden Temple in Amritsar. 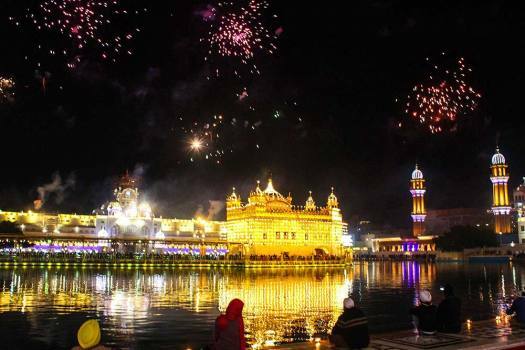 Fireworks seen at Sri Harmandir Sahib (Golden Temple) on the birth anniversary of tenth Sikh guru, Guru Gobind Singh Ji, in Amritsar. 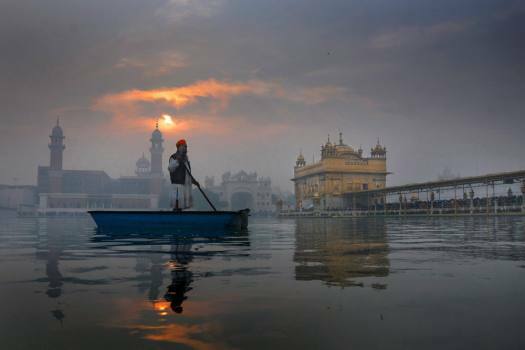 A Sikh devotee cleans the sacred pond (Sarovar) at the Golden Temple on the first morning of the New Year 2019, in Amritsar. 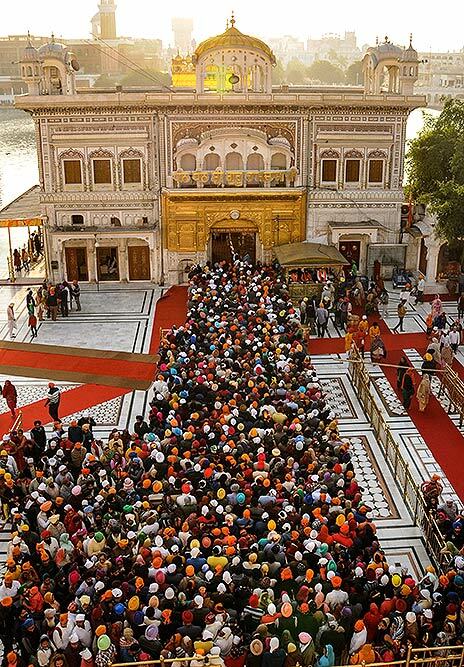 Devotees pay obeisance at the Golden Temple on the first morning of the New Year 2019, in Amritsar. 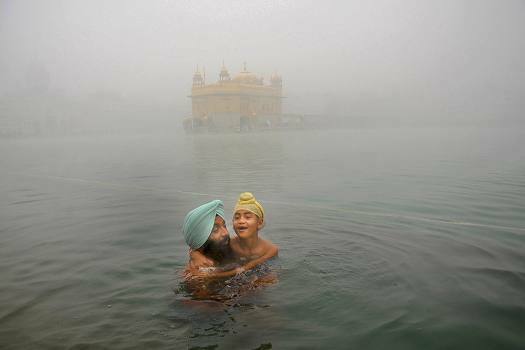 A Sikh devotee takes dip in the holy sarovar at Harmandir Sahib (Golden Temple) on a cold, foggy morning, in Amritsar. 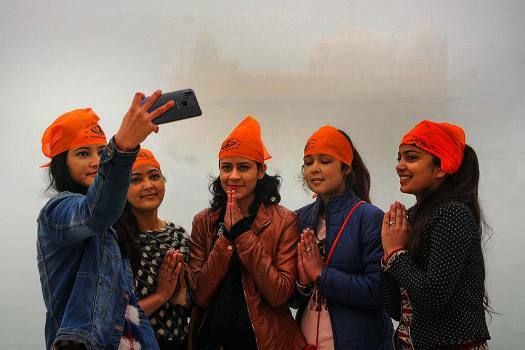 Devotee take a selfie at Harmandir Sahib (Golden Temple) on a cold, foggy morning, in Amritsar. 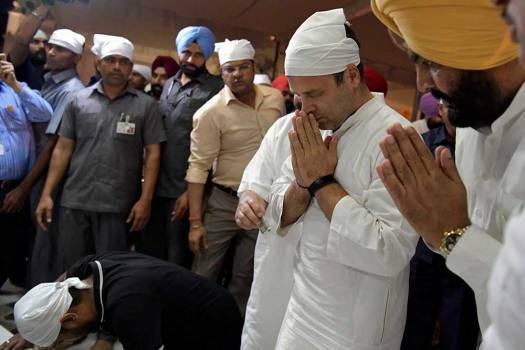 Former Indian cricketer Sachin Tendulkar and wife Anjali offer prayers, at Golden temple in Amritsar. 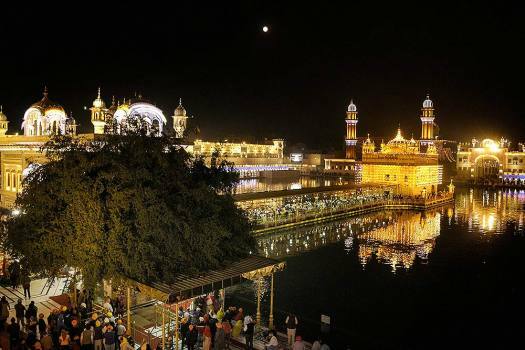 An illuminated view of Sri Harmandir Sahib (Golden Temple) on the eve of 550th birth anniversary of Guru Nanak Dev Ji, in Amritsar. 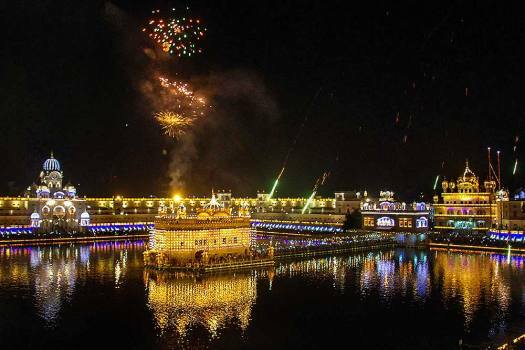 Fireworks light the sky during 'Bandi Chhor Divas' and 'Diwali' celebrations at Sri Harmandir Sahib (Golden Temple), in Amritsar. 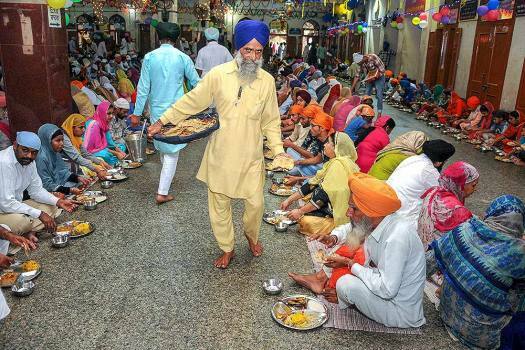 Religion has seldom been far from the idea of revolution, which contains within it a scope for violence. 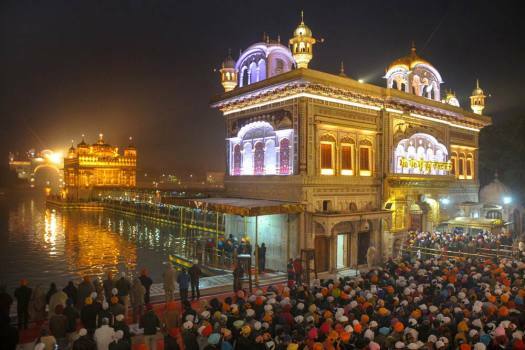 A three-part study of Sikh history. 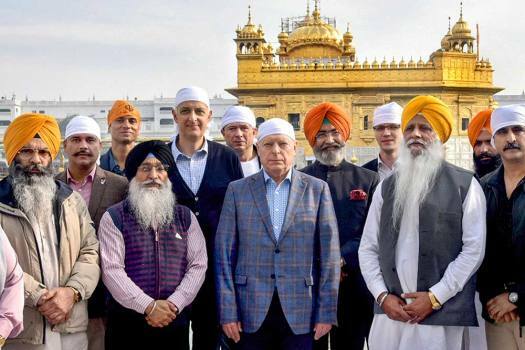 Canadian Prime Minister, who is on a week-long State visit to India, visited Amritsar's Golden Temple on Wednesday, along with his wife and children. Trudeau is on a week-long visit to India. 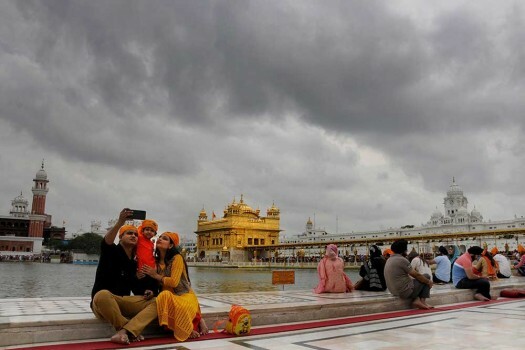 He is accompanied by wife Sophie Gregoire Trudeau and three children -Ella-Grace, Xavier and Hadrien.